Out of all the red veins, this one is my favorite! I’ve been getting bad kratom for so long! I thought I developed a tolerance and it didn’t work on me anymore. Nope! This is the 1st time since I started kratom that my pain was a lot better. Not gone, but SO much better. By the way, nothing takes my pain away. I have about 5 things wrong with me. Thank God I tried these guys. And they don’t clean out your wallet. Thumbs up! Great product as usual. 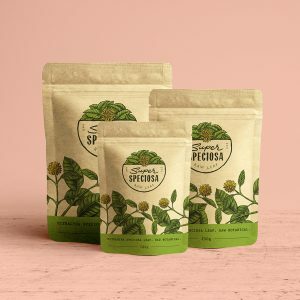 Super Speciosa has never disappointed me. I find this kratom to be of high quality. Love it! 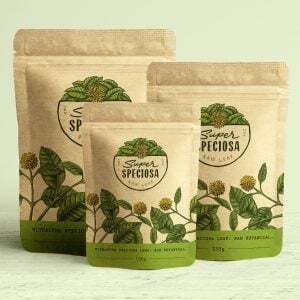 Thanks, Super Speciosa! One of the best strains on this site, Super Speciosa never disappoints! Every strain I have tried from Super Speciosa is of the highest quality. Love this strain. Super fast shipping too. Love this strain. So far love red vein the best. Keep it up SS. My first time trying this, it was right on the par with any other brand. Timely shipping (it shipped within an hour of my order being made! ), quality product, and wonderful customer service.have recommend S’S to friends in the past and will continue to do so. One of my more favorite strains. Flavor takes a little to get use to, but quality is top as always. I love every product I’ve tried including capsules. I love that I get it immediately and the customer service is awesome. Wouldn’t shop anywhere else for Kratom. Great Choice. Has alot of benefits that others don’t have. This is a great choice. Received as a sample and just placed an order. Each and every strain from this company is topnotch. I cannot thank you enough for everything you have done for me and my family!